Fu Zhen, CTO ZTE South Africa. 2017 saw the thriving development of cloud computing technology as the key boost for digital transformation. Cloud computing projects based on open source technologies are now hotspots in the industry, especially OpenStack. At the OpenStack Summit Sydney, held in November, the surging crowds were indicative of the interest in OpenStack. Chinese vendors are increasingly playing active roles in the OpenStack community by adding immense value and knowledge to the topic. In 2017, the membership of the OpenStack Foundation climbed to 80 000, and was inclusive of eight new platinum and gold members, of which five are from China. This increase in the number of Chinese companies is testament to the increasing recognition of OpenStack from the Chinese market, plus the importance of the role that Chinese vendors are playing in the community. The membership comprises some of the most notable companies operating in the cloud computing space, as well as traditional communications vendors. ZTE is a significant contributor to the OpenStack community. According to data from http://stackalytics.com/, ZTE has grown rapidly in contributions for 2017, which in turn fully demonstrates the company's premise of 'embracing open source' in the OpenStack field. Fu Zhen, Chief Technology Officer of ZTE South Africa, notes as an open source technology, OpenStack maintains a rapid iteration speed, and now its latest version is Pike. "According to the latest ranking of contributions, though several IT giants of the USA still hold the lead, Chinese vendors have contributed significantly to the growth, with multiple projects in the top 20," says Fu. According to the code contribution's five main performance indexes - Commits, Completed Blueprints, Reviews, Resolved Bugs, and LOC - in OpenStack, ZTE has been ranked among the top 20 companies comprehensively and respectively. "To be specific, ZTE ranks number 13 in Commits, number three in Completed Blueprints, number 16 in Review, number 13 in Resolved Bugs, and number 14 in LOC," adds Fu. He emphasises the continuous engagement plus vendor contribution is indicative of the product capabilities and level of understanding of user service and more. "So, not only from ZTE, but the overall contribution of Chinese vendors is growing, reflecting the increased voice as a whole, which is paving the way to the launch of OpenStack in China." A number of technical experts participate in the community work. The influence in the OpenStack community is not only reflected in code contributions, but also the leadership and management of projects. ZTE has taken an open-minded approach to open source technologies. A number of technical experts have settled into the OpenStack community and served as project team leaders (PTL) and core members in many initiatives. OpenStack consists of many independent sub-projects, and each project is managed by the PTL, which is the technical leader. 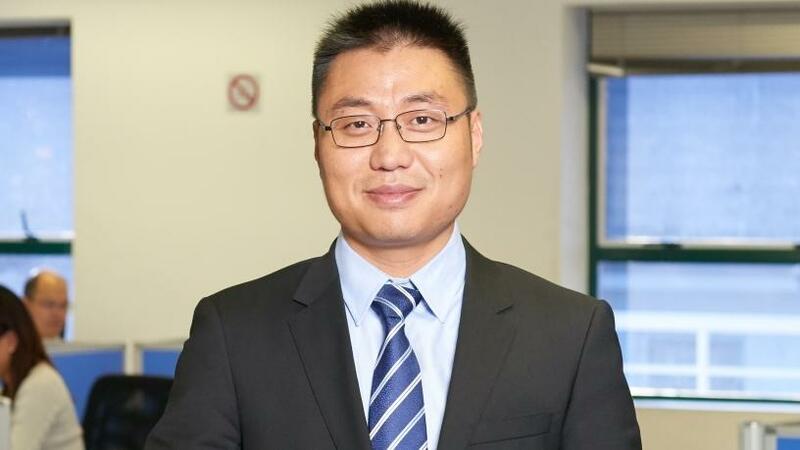 ZTE expert Zhu Rong serves as PTL in two OpenStack projects. Fu explains that currently, ZTE has nine core members in the OpenStack community. A core member is responsible for the quality of code, if the developer wants to get his/her modification merged into the project code repository. "Codes need to be submitted to the Gerrit system, where they can be reviewed by everyone - if there is no disagreement regarding a specific code and at least two core members give their approval." At the Project Update of OpenStack Summit, speakers introduced the progress of the new release compared to the last one. Plans for new features in the next release are also presented. At the OpenStack Summit Sydney, two ZTE experts delivered papers at Project Update, showing ZTE's influence in the OpenStack community. TECS products are in commercial use. The reason for vendors keeping contributing codes, and boosting projects in open source communities like OpenStack, is to help build a better community and to use open source technologies to handle problems. In the Chinese market, the open source concept is widely accepted. Taking OpenStack as an example, China has become its second largest application market in the world and keeps growing at a high rate. Another example is China UnionPay, which is very enthusiastic about OpenStack applications in the financial sector - which, of course, has the strictest safety requirements. Technical experts from China UnionPay pointed out that OpenStack cloud platform was implemented in the production environment in 2012, and all their key applications have been supported by the platform. In the field of communications, open source technologies such as OpenStack have become an important driving force for network transformation. Many new applications and corresponding de facto standards are coming from open source communities. ZTE actively promotes the application of OpenStack. ZTE TECS, an OpenStack-powered cloud management platform, has successfully passed the Interop Challenge conducted by the OpenStack Foundation, meeting OpenStack's interoperability requirements for commercial releases. Embracing the concept of open source and enterprise development are interactive forces. The open concept has driven ZTE investment into a wide range of resources in OpenStack, OPNFV, Docker, Kubernetes, ONAP OpenDaylight, and other open source communities. ZTE has gained extensive influence through its contribution to the open source community, which in turn has strengthened the company's product development capabilities, making it one of the world's leading providers of SDN/NFV.